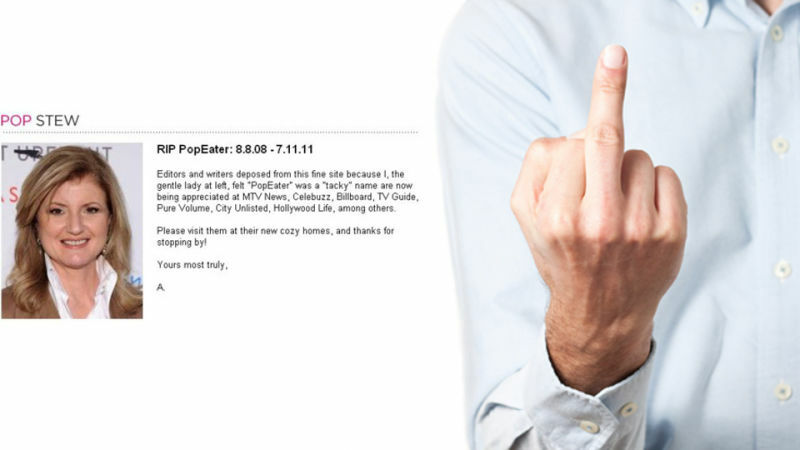 Arianna Huffington found the name "PopEater" tacky, so she threw everyone overboard and shut the AOL entertainment site down. That, at least, is the unauthorized message Huffington's former minions published to the world via Huffington's servers. The Huffington Post indefinitely suspended a young blogger today for rewriting too much of someone's news article. This is pretty ridiculous, given HuffPo's systematic, officially-sanctioned approach to rewriting too much of people's news articles. Just ask a HuffPo veteran. The Associated Press has said it's "mad as hell" at internet portals. Yet the wire service's pandering to one major online client is said to be severely taxing reporters and undermining editorial quality. 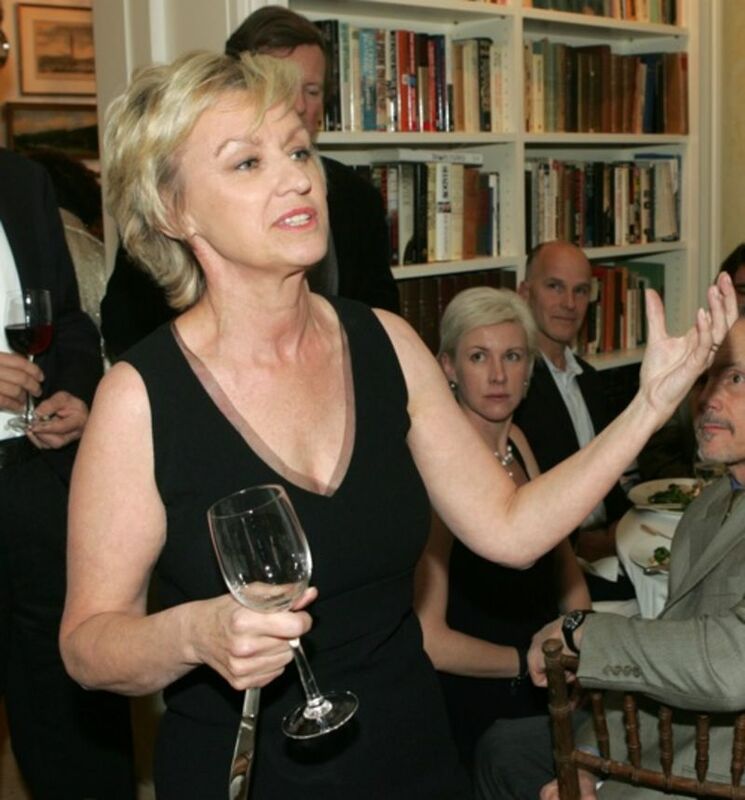 Tina Brown, legendary magazine editor, rules over the Daily Beast just like she did her magazines: arbitrary deadlines, grueling "closings" and reams of printed proofs. Her glossy approach to the Web is, naturally, driving staff insane. 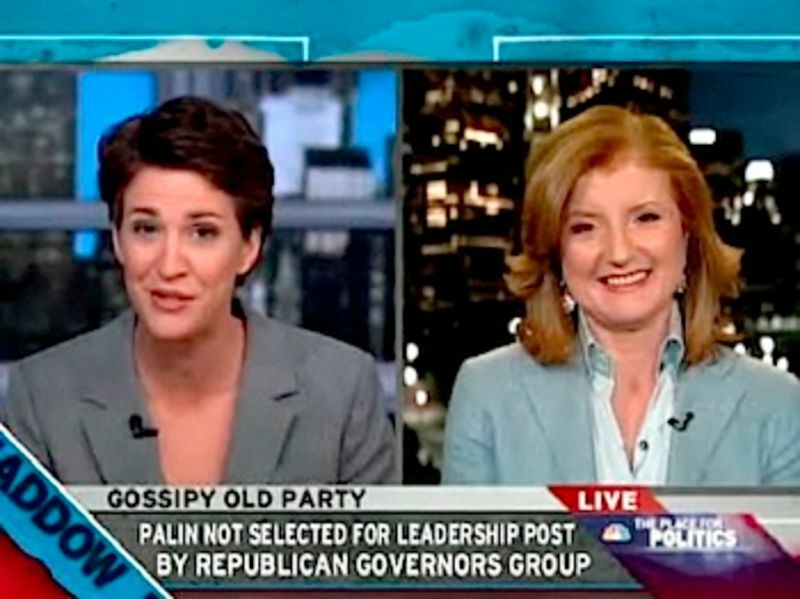 Screaming Arianna Breakdown Ahead Of Maddow Show? Arianna Huffington is guest-hosting Rachel Maddow's show on MSNBC tonight, and the lineup looks impressively ambitious: Google CEO Eric Schmidt, HBO talk-show host Bill Maher, stat-whiz Nate Silver and Cory Booker, the Newark mayor to whom the internet publisher was once rumored romantically linked (absurdly, her staff thought). The high-profile lefty gig is an appropriate laurel for an ambitious woman whose left-leaning site produced landmark coverage and gangbusters traffic amid the 2008 election. But as former Huffington Post staff can attest (and have), television appearances also mean a frenzy of last-minute research for editors like Roy Sekoff or Colin Sterling who prepare Huffington's talking points. With an entire, hourlong show to host, rather than a brief guest appearance, it would be reasonable for staff to fear another of the screaming, teary emotional breakdowns described to us by several former HuffPo staffers. The Return Of Bonnie Fuller? The last time we checked in with Bonnie Fuller, in August, the ex-Us Weekly editor was seeking "partners, financing and advertiser support" for a website aimed at women 20-40. That can't be going well right about now. Which might explain how OK! 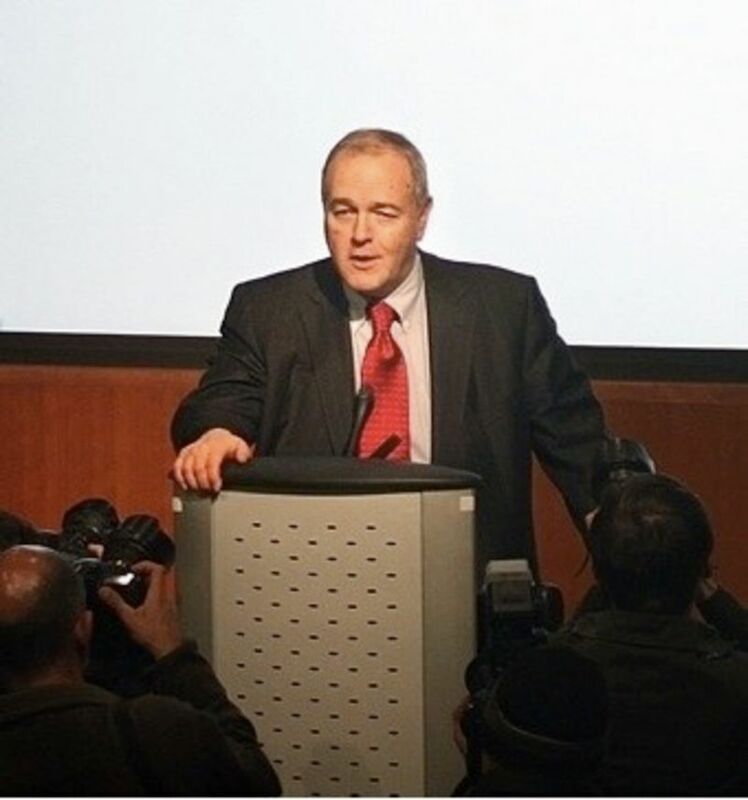 magazine could afford to bring on Fuller as a consultant, as CoverAwards is reporting, even though she was recently pulling down $2.1 million per year as editorial director at American Media Inc.
Arianna Huffington for many years sought to downplay the extent of her involvement in the Movement For Spiritual Inner Awareness, a cult ex-members described as sexually and financially exploitive in a series of Los Angeles Times exposés in the 1980s and 1990s. 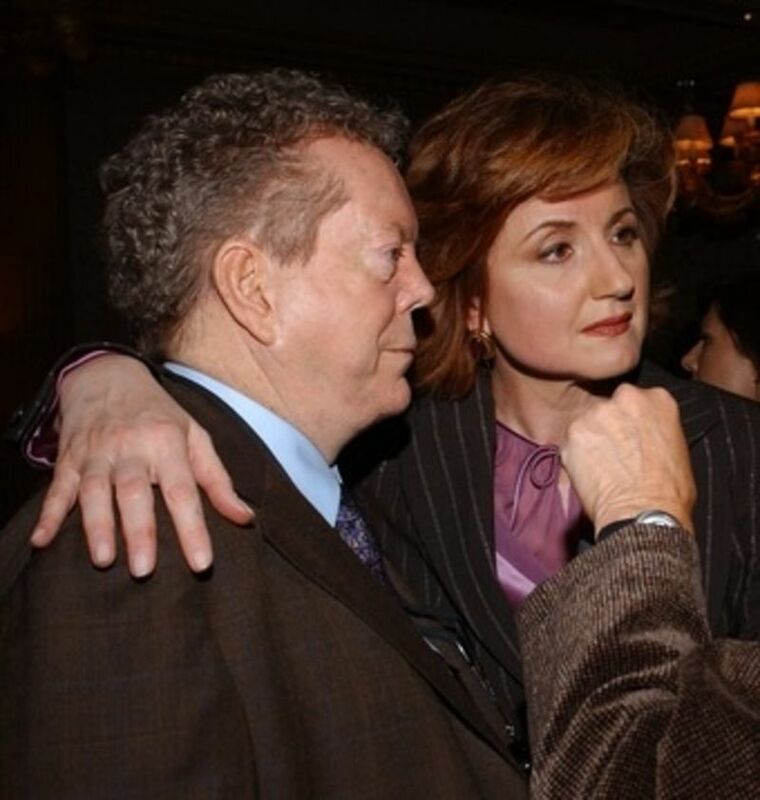 During her then-husband's 1994 U.S. Senate run, the Greek-born socialite claimed movement founder John-Roger (pictured with her at a 2004 book party, left) was a mere friend, and pictures of him holding her daughter were ordered withheld from the group's newspaper, the editor later said. 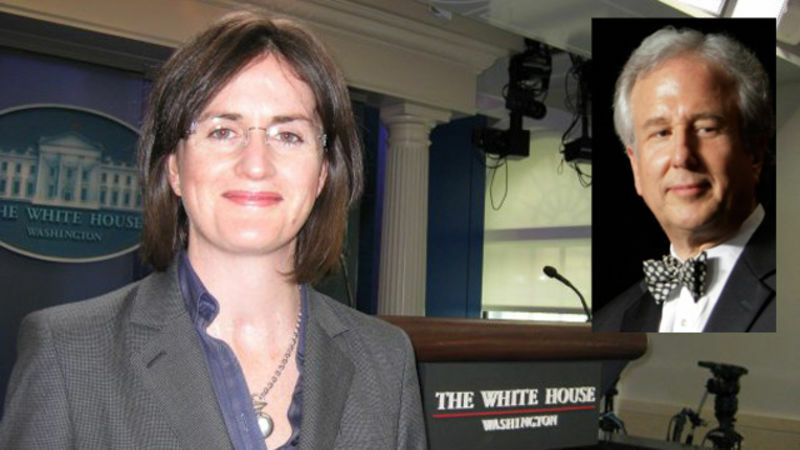 But the Huffington Post editor-in-chief is an ordained "Minister Of Light" in the group and once described John-Roger to Interview as her "way-shower." She relaxed a bit in the New Yorker's Oct. 13 profile , admitting she had been too "defensive" about John-Roger, and allowing writer Lauren Collins to listen to a guided MSIA meditation stored on Huffington's iPod. But she wasn't entirely forthcoming. What about the role she has fashioned for her cult in HuffPo staff development? We asked, earlier this week, if "editors are 'retards' and servants to Arianna" Huffington, subject of an all-too-squishy New Yorker profile this week. After hearing from still more Huffington Post insiders, it would seem the answer is a resounding "yes." And an obvious "yes" to those who have come to appreciate that the ambitious divorcée draws few boundaries between her own professional and personal lives, working manically, phoning and emailing editors in the middle of the night, obsessively arranging the order of stories on HuffPo's front page and in its various sections, and hollering at her staff over an intercom in her Brentwood mansion even while she has her nails done. 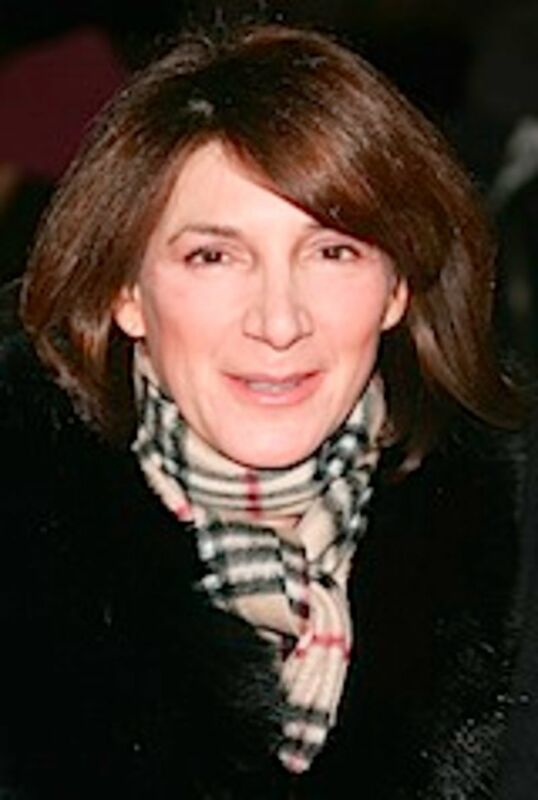 The only clear line, it seems, is between the smart, charming image Huffington projects to her celebrity friends and the world at large and the rather nastier and more careless Arianna seen inside HuffPo.